Overview of features, functionality, and benefits of the NetApp Content Pack for VMware vCenter Log Insight. http://kb.vmware.com/kb/2005129 – This video discusses and demonstrates how to convert a physical machine into a virtual machine which will run on VMware Fusion, Workstation or Player. For additional instructions and information on how to create a new virtual machine from the converted virtual disk files, check out VMware Knowledge Base article 2005129. Before you can use the hardware-based (GPU) virtual Shared Graphics Acceleration (vSGA) feature in vSphere, you must install and configure the NVIDIA GPU VIB (vSphere Installation Bundle) on ESXi. This feature is supported in Horizon View 5.2 and later releases. Note: This vSphere 5.1 feature is not supported in Horizon View 5.1 or earlier. Note: The preceding link was correct as of December 30, 2013. If you find the link is broken, provide feedback and a VMware employee will update the link. Alternatively, you can use ESXi Image Builder to create a bootable image that contains the NVIDIA VIB. 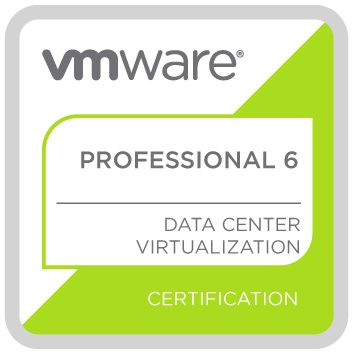 For more information, see the vSphere Installation and Setup Guide in the VMware vSphere 5.1 Documentation Center. Before you start any virtual machines, make sure that the xorg service is running. Connect to the ESXi host. On the Configuration tab under Software, click Security Profile. Click the Properties link for Services. Select xorg and click Options. Select the Startup Policy and click OK.
From the inventory, select the ESXi host. On the Manage tab under System, click Security Profile. Click the Edit button for Services. Select xorg and click Start. On the Summary tab under Commands, click Edit Settings. Under Hardware, click Video card. Set the Total video memory to a value from 64 MB to 512 MB. Most applications should work with 128 MB. Video memory values larger than 128 MB are available only with virtual machines with hardware version 9. Under 3D graphics, select Enable 3D Support. Note: You cannot set the 3D renderer from the vSphere Client. Enabling 3D support is sufficient to use the hardware-based (GPU) virtual Shared Graphics Acceleration (vSGA) feature in vSphere. To set the 3D renderer, use the vSphere Web Client to configure video card 3D capabilities. Click a data center, folder, cluster, resource pool, or host. Click the Related Objects tab, then click Virtual Machines. Expand the Video card setting. For 3D Graphics, select Enable 3D Support. For 3D Renderer, select Hardware or Automatic. Note: Hardware-based 3D rendering can be configured from View Administrator in Horizon View 5.2 and later releases. Connect to VMware View Administrator. Add or edit a desktop pool. For more information, see the VMware Horizon View Administration guide. On the Pool Settings page (or tab), set the 3D Renderer to Automatic or Hardware. Complete the Add Pool wizard or click OK in the Edit Pool dialog. Note: If you use the Manage using vSphere Client option in View Administrator, you can configure 3D rendering from the vSphere Web Client on a per-virtual machine basis. If Manage using vSphere Client is not selected in View Administrator, the 3D rendering settings you make in View Administrator apply to the entire pool and overwrite any 3D rendering settings you make in the vSphere Web Client. You can now install a newer NVIDIA GPU VIB by following the steps provided earlier in this article. To address a Support Request, VMware technical support requests diagnostic information from the VMware products. This article provides procedures to upload diagnostic information to VMware using the Secure FTP (sftpsite.vmware.com) portal. Note: To upload diagnostic information using FTP, see Uploading diagnostic information for VMware using FTP (2070100). Internet Explorer 9 and above is supported. Other supported browsers include Firefox, Chrome, and Safari. When uploading with Internet Explorer 10/11, you may have to switch to compatibility mode. Do not use the HTML interface to upload files larger than 2 GB. Directory listing of file uploaded is disabled due to security reasons. Files are not visible after the upload completes. Note: Use AD account username and password to log in within the VMware network. inbound only works externally and not on VMware network. Note: You can see that the directory listing is disabled for security purposes. Enter your Support Request number in the field and click OK. If you receive an error that the file already exists, proceed to the next step. Select the files you want to upload to VMware Support. Note: The files that are uploaded must be less than2 GB. You are notified when the upload completes. Send an email to webform@vmware.com. Click here to open an email with the necessary fields populated. Replace YOUR_SUPPORT_REQUEST_NUMBERin the subject line with your Support Request number. Alternatively, you can update the support request through My VMware with a note indicating you have uploaded files via sftpsite.vmware.com. You can use the Secure FTP portal Java Applet to upload files using your web browser. The Java Applet allows you to transfer files greater than 2 GB. Note: To be able to access the Java Applet interface, you must use Java 1.7 or later. Browse to the http://sftpsite.vmware.com/ or https://sftpsite.vmware.com/ URL. In the Login page, select the Java Applet user interface option. Right-click the Remote System pane and click mkdir. Skip this step if the SR directory already exists. Enter your SR number as the directory name. Ensure to enter a valid 11 digit SR number as the directory name. Ensure that the directory name does not contain any special characters, such as space, “, “ , # , or $. In the Remote pane, enter the SR directory name you created. In the Local System pane, browse to the location of files that are to be uploaded. Select the file(s) to be uploaded. Right-click the files to be uploaded and click Upload. You can upload files directly to the sftpsite.vmware.com site from a Linux operating system, provided you have the firewall rules open to allow access directly from virtual machines to the Secure FTP site. You can use this method to upload files greater than 2 GB. Ensure that you have your Support Request number. This number is provided to you when a Support Request is created. After uploading the diagnostic data, you cannot see the file listing on the server because the directory listing is disabled for security reasons. Launch the terminal session from the virtual machine. Change directory to the location where you have the files to be uploaded. Enter the password ( inbound) to log in. Note: To upload multiple files, you can use the mput command. You can use third-party clients, such as FileZila, to upload files to the SFTP clients. Click Transfer > Transfer type > Binary to set the transfer mode to binary. Right-click the Remote Site pane and click Create Directory. Skip this step if the SR directory already exists. Change directory to newly created SR directory. After connecting to the correct destination directory, browse to the location of the log files on your local system using the file browser in the left pane or enter the full path in the Local site field. Right-click the file and click Upload. To address a Support Request, VMware technical support requests diagnostic information from the VMware products. This article provides procedures to upload diagnostic information to VMware using FTP. Note: To upload diagnostic information using the Secure FTP portal, see Uploading diagnostic information for VMware through the Secure FTP portal (2069559). If there are several log files, VMware recommends that you create a single ZIP, TAR or TGZ file and upload that. The single file makes the process more efficient. If your files are larger than 2 GB, you must upload using the command line. Ensure that HTML is selected. Click Change Directory, enter your Support Request number in the field, then click OK.
Click Add, select the files you would like to upload to VMware Support, then click Open. Repeat this step for any additional files. Note: Files must be smaller than 2 GB. Click here to open an email with the necessary fields populated. Replace YOUR_SUPPORT_REQUEST_NUMBER in the subject line with your Support Request number. Or you can update the support request through My VMware with a note indicating you have uploaded files via FTP. Note: When uploading with Internet Explorer 10/11, you may have to switch to compatibility mode. After uploading the diagnostic data, you cannot see the file listing on the server because directory listing is disabled for security reasons. For Windows, click Start > Run, type cmd and press Enter. For Mac OS, click Applications > Utilities > Terminal. For Linux, from your X session run the /usr/bin/xterm command, or open your preferred terminal emulation application. Note: The password is not echoed on the screen. Authenticating using this username and password allows you to put files on the site. You cannot delete, move, rename, or modify any files, including the files you upload. If you are using Mac OS, type epsv to disable extended passive mode. If you are using Windows, type quote pasv to toggle between active and passive mode. In Windows, passive mode is required. If your FTP client defaults to ASCII transfer mode, type bin to enable binary transfers to preserve the integrity of the files. Hash mark printing On ftp: (2048 bytes/hash mark). If the directory was previously created, mkdir will report errors. Simply continue on to the next step. In Windows, this step is optional. The full path can be specified in the next step, at the time of the file transfer. If your path includes spaces, be sure to enclose the entire path within quotation marks. In Mac OS and Linux, you must use the lcd command to navigate to the directory on your system where the file is saved. If your path includes spaces, be sure to escape each space with a backslash before it. Alternatively, you can simply drag the file into the terminal window and erase the file name while keeping the directory path. where YOUR_LOG_FILE_NAME is the name of the file you are uploading. You can also use mput * to upload all log files from the current local directory. If you are using Windows, you may include the file path with the file name. If your path includes spaces, ensure you enclose the entire path within quotation marks. Alternatively, you can simply drag the file into the terminal window. If you are using Mac OS or Linux, and your path includes spaces, be sure to escape each space with a backslash before it or enclose the entire path within quotation marks. Alternatively, you can drag the file into the terminal window. To close the FTP session, type bye and press Enter. There are many third-party GUI-based FTP clients that run on multiple platforms. These clients are able to perform the operations in this article using an intuitive GUI interface. Feel free to use the FTP client of your choice. Some platforms also have integrated FTP capabilities. For example, Microsoft Windows allows FTP through Windows Explorer. Using ftp://inbound:inbound@ftpsite.vmware.com/ as the address will open the FTP site as if it were a local Windows folder. If this is the first time you are uploading files to the VMware FTP for this case, create a directory in the root of the VMware FTP. To do this, right click the root directory on the remote site in the right pane and choose Create directory. If this is not the first time you are uploading files for this case, proceed to the step 7. For further guidance, see the FileZilla screen shots in the 1008525_FZ_screenshots.zip file attached to this article. This article provides the default location of the vCenter Server logs. Note: If the service is running under a specific user, the logs may be located in the profile directory of that user instead of %ALLUSERSPROFILE%. 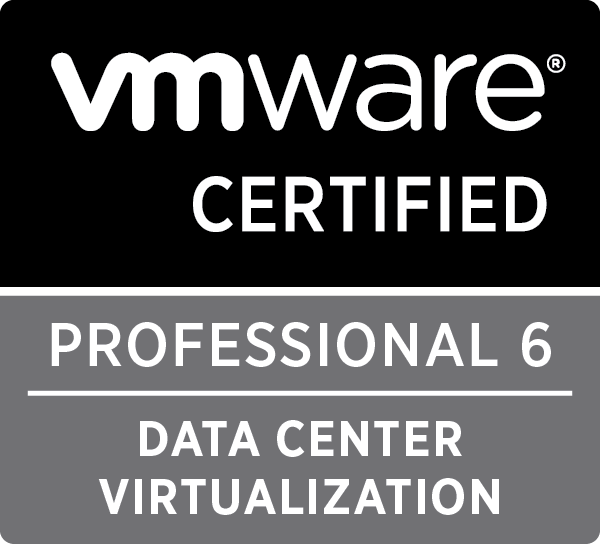 vpxd.log: The main vCenter Server logs, consisting of all vSphere Client and WebServices connections, internal tasks and events, and communication with the vCenter Server Agent (vpxa) on managed ESX/ESXi hosts. vpxd-profiler.log, profiler.log and scoreboard.log: Profiled metrics for operations performed in vCenter Server. Used by the VPX Operational Dashboard (VOD) accessible at https://VCHostnameOrIPAddress/vod/index.html. vpxd-alert.log: Non-fatal information logged about the vpxd process. cim-diag.log and vws.log: Common Information Model monitoring information, including communication between vCenter Server and managed hosts’ CIM interface. drmdump\: Actions proposed and taken by VMware Distributed Resource Scheduler (DRS), grouped by the DRS-enabled cluster managed by vCenter Server. These logs are compressed. ls.log: Health reports for the Licensing Services extension, connectivity logs to vCenter Server. vimtool.log: Dump of string used during the installation of vCenter Server with hashed information for DNS, username and output for JDBC creation. sms.log: Health reports for the Storage Monitoring Service extension, connectivity logs to vCenter Server, the vCenter Server database and the xDB for vCenter Inventory Service. catalina.<date>.log and localhost.<date>.log: Connectivity information and status of the VMware Webmanagement Services. jointool.log: Health status of the VMwareVCMSDS service and individual ADAM database objects, internal tasks and events, and replication logs between linked-mode vCenter Servers. Note: As each log grows, it is rotated over a series of numbered component-nnn.log files. On some platforms, the rotated logs are compressed. The vSphere Client connected to vCenter Server 4.0 and higher – Click Home > Administration > System Logs. The Virtual Infrastructure Client connected to VirtualCenter Server 2.5 – Click Administration > System Logs. From the vSphere 5.1 and 5.5 Web Client – Click Home > Log Browser, then from the Log Browser, click Select object now, choose an ESXi host or vCenter Server object, and click OK.